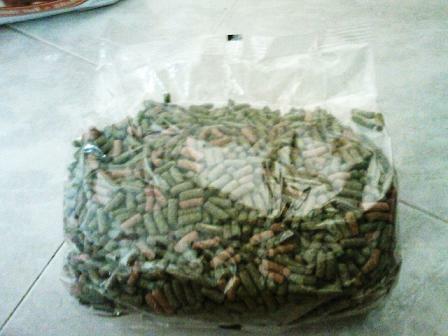 Im selling off these rabbit food because my rabbit does'nt like them. They still perfer hagen or selective. I just bought it yesterday. Its devided into 3 packs, 1kg each. added apple taste in it and im selling off 2 kgs, 1 kg for $6. not being busybody or anything. but wondering if u know if the pellets are timothy or alfalfa? alfalfa can cause kidney stones in bun. my bun got it when she was 3 yrs. since then we switch to timothy hay n pellets. alfalfa is only for baby buns. just posting this to raise awareness! 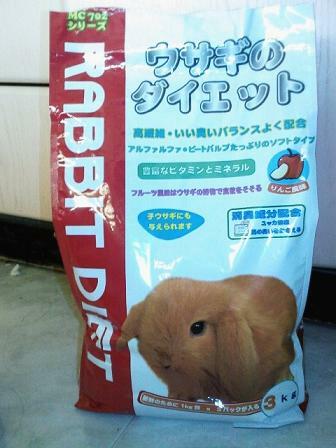 The food is for adult rabbit, and its timothy hay and not alfafa. Ive changed my buns frm alfafa hay to timothy hay when she was 6 mths old. I did my research before having a bun de lor. Last edited by Doll; 29th May 2009 at 11:42 AM. If you still have the Pallet packets then i would like to pick it up this Saturday, i am going to Anna place to pick some rabbit stuff so i can travel littel bit further to pick the pallets also. My offer will $4 /KG, if you are ok then just send me mail at petbunny4us gmail.com.